Realtor, athlete, MLA (1963-1966), MLA (1966-1969), MLA (1969-1973), MLA (1973-1977). Born at Glenella on 24 March 1932, son of Alexander and Catherine Patrebka, he was educated at Glenella School, Manitoba Teachers College, and Success Community Business College. After moving to Winnipeg, he played for 13 years with the Winnipeg Blue Bombers, playing on four Grey Cup championship teams, and later was inducted into the Blue Bomber Hall of Fame, Order of the Buffalo Hunt (1957), and Manitoba Sports Hall of Fame (1998). In 1956, he founded a real estate firm, the Patrick Agencies Limited, of which he was President and General Manager. On 30 June 1956 he married Marjorie June Mathieson, daughter of Sarah Mathieson of Edmonton and they subsequently had seven children. He was a Director of the Winnipeg Real Estate Board and Pioneer Fraternal Association, Chairman of the St. James Cancer Society and Canadian Paraplegic Association (8 years), and a Member of the St. James Chamber of Commerce, St. James YMCA, Business Mens Club, Winnipeg Big Brothers Association, and Misericordia Hospital Foundation Board. 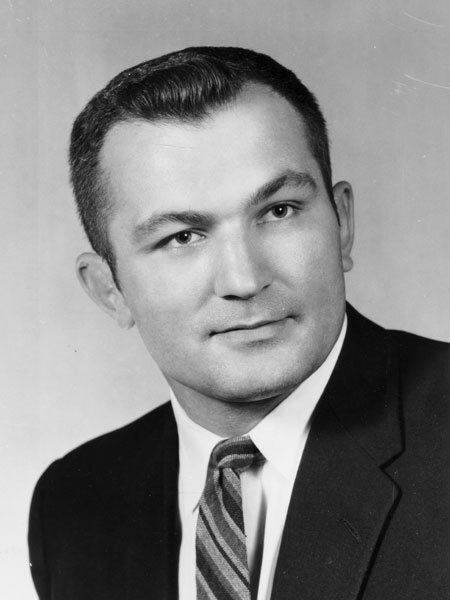 In 1962, he was elected to the Manitoba Legislature, representing the Assiniboia constituency, and was re-elected in 1966, 1969, and 1973. Following his defeat in the 1977 election, he served for ten years as a Commissioner for the CRTC. In recognition of his community service, he received a Canadian Centennial Medal (1967) and Queen Elizabeth II Silver Jubilee Medal (1977). He died at Winnipeg on 11 January 2014 and was buried in the Assumption Roman Catholic Cemetery. Obituary, Winnipeg Free Press, 15 January 2014. We thank Tara Patrick for providing additional information used here.